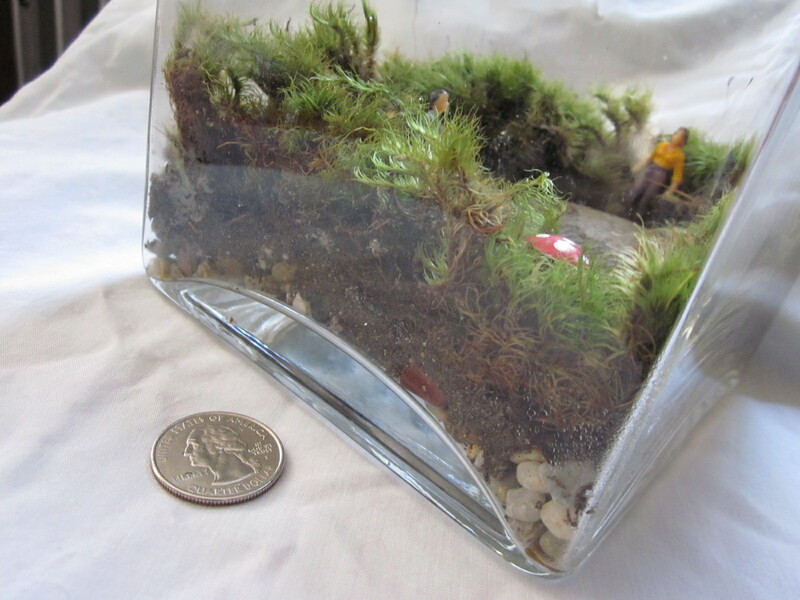 This is a rough photo of a terrarium I worked on this morning. More photos can be found at Sanctuary Without Walls. 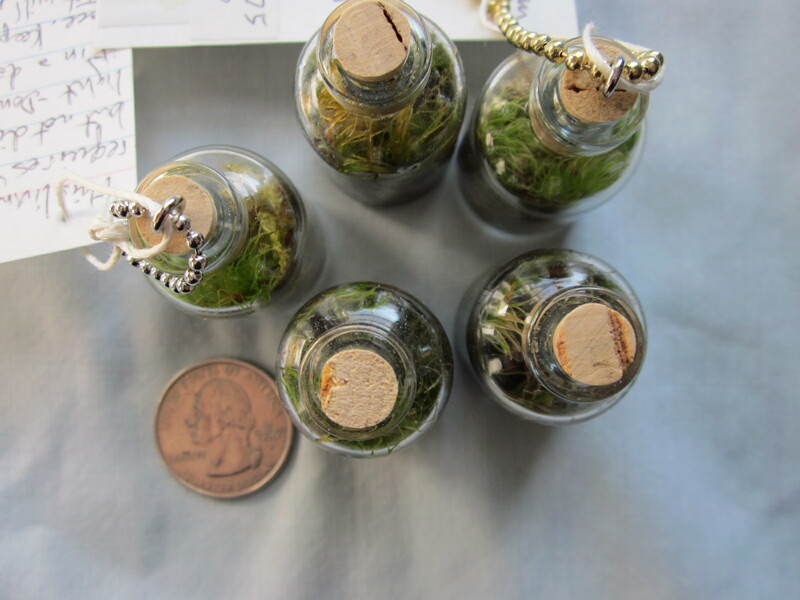 Below are some photos of tiny terrarium pendants, with a quarter to show scale. 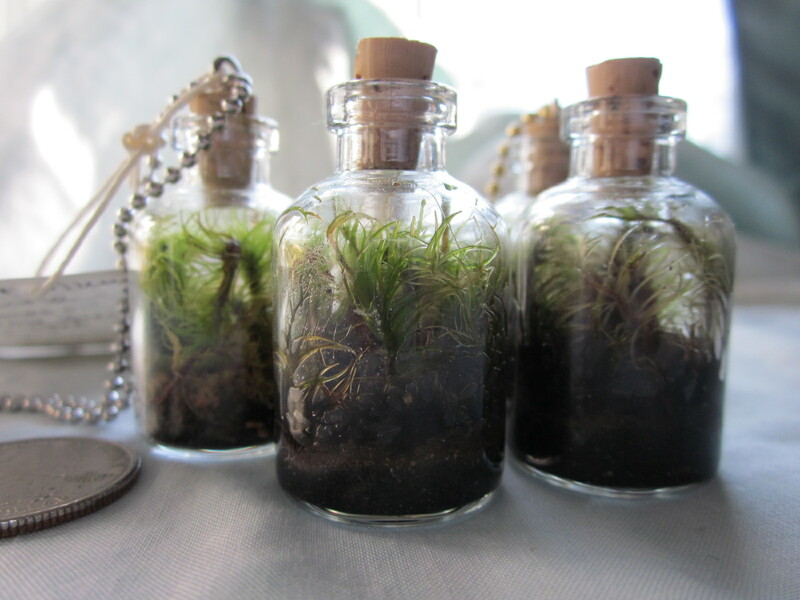 Some of these were for sale at the Real Food Market Co-op for the holidays, which is why some have chains and others do not (yet). Who thought I’d be gardening in this frigid weather? !